The foundation of engagement in daily life and optimal professional performance is a good night’s sleep. Our approach to sleep therapy has helped many discover consistently proper rest. Our focus begins with establishing a healthy sleep hygiene routine. The role health promotion plays in occupational therapy is simple but essential. It’s the promotion of habits and routines that promote positive and healthy behaviors — improving overall health and wellness. These are specific to the needs of clients, and they can encompass everything to include nutrition intake, weight management, stress reduction techniques and massages. We help eliminate chronic pain by treating the source rather than the symptom. Your body is a machine that squeaks when there is a disruption in the system. This squeak presents as pain, stiffness, difficulty moving. The cause of the squeak ranges from nutrition imbalance to decreased muscle strength. We help you identify the disruption and repair it for a better quality of life. There is very real scientific evidence showing that people who regularly participate in religious or spiritual services are healthier and have superior healing capabilities. 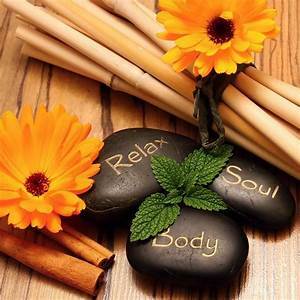 Our holistic approach to personal care integrates spiritual health with emotional, mental and physical care. Take a deep breath. Essential oils were used to combat many ailments during biblical times. Today lesser grade of essential oils continues to be used to fragrance perfumes, beauty regiments, provide softness and beautiful smell to detergents and create a tranquil environment. At WholePerson our therapy grade essential oils are used to complement modern treatments for pain, muscle discomfort, relaxation, Health and well-being. On your visit ask for an essential oil consult. What are the best steps for you to take to enhance your health and wellness? Contact us online or by phone today for more information or to schedule a consultation.